Photographic Artist Jack Megela captured this beautiful image of The von Liebig Art Center, “Painting With Light,” in the early morning hours before a festival. Naples Art Association festivals account for tens of thousands of visitors to Naples, and the organization has a more than $3 million impact on the local economy. Educates more than 1,000 children through the summer art education program ARTScool. Awards more than 30 scholarships to less fortunate children to attend ARTScool. Provides more than $15,000 in scholarships for children and college-bound seniors. Teaches more than 2,000 hours of adult art classes and workshops. Attracts more than 70,000 guests to downtown Naples and the Mercato Shopping District through art and crafts festivals held November through April. Introduces more than 600 nationally known artists to our community who sell work at our art festivals. Hosts more than 15,000 visitors to the Gallery and Art Studios each year. Encourages Southwest Florida residents to view and appreciate a wide variety of art by holding 10+ annual exhibitions of well-known and local artists. Hosts an informative lecture series with internationally known art experts. Organizes art initiatives in the community including: the Grace Place Mural and special art classes for the visually impaired with Lighthouse of Collier County. To view an electronic version of the Naples Art Association’s 2011-2012 Annual Report, click here. The Naples Fall Fine Art & Craft Festival is the first of five, two-day outdoor art festivals presented by the Naples Art Association. This festival serves as a fundraiser for the nonprofit organization, which operates The von Liebig Art Center, supports individual artists and helps provide educational programs for the community. To support the Naples Art Association’s ongoing, community-supporting arts programming, a $5 requested donation is accepted at the festival entrance. Featuring about 100 artists in all media – something for every taste and budget – this Thanksgiving weekend event provides an outdoor occasion the whole family can enjoy. “This is a wonderful opportunity for residents to bring their guests, shop unique small business owners, and purchase hand crafted gifts while enjoying the beautiful weather in Paradise,” said Executive Director Aimee Schlehr. Many of the artists in this holiday show are from Florida, because festival season is just getting underway in Naples, but there are talented artists participating from all across the US including Oregon, NY, Tennessee, Indiana, Pennsylvania and elsewhere. For those supporting the Shop Small Business Saturday cause, the Naples Fall Fine Art & Craft Festival encourages the public to consider a purchase from an independent professional fine artist like those who show their work in juried festivals. As small business owners, they may be overlooked amid clamor for big box store sales, but their unique and creative wares make great gifts that aren’t available anywhere else. Festival attendees may choose to support the less fortunate this holiday season. The United States Marine Corps Reserve will be collecting donations for Toys for Tots at the festival. Anyone who brings a new, unwrapped toy to donate will be entered into a drawing for fantastic prizes. For the convenience of shoppers, there is free parking close by off Goodlette Frank Road. This show is generously sponsored by Costco, Naples Daily News, Lite 93.7, Southwest Florida Happenings Arts and Entertainment Magazine and WAVV 101.1. The Naples Art Association is a 501(c)(3) nonprofit organization, founded in 1954 by local artists. Its mission is to educate and promote visual arts in Southwest Florida. Through its programs, the Naples Art Association is dedicated to serving individual artists of all ages and skill levels, along their creative journeys. The von Liebig Art Center is located at 585 Park Street in downtown Naples and is open Monday through Friday, 10 a.m. to 4 p.m., Saturdays in season. For more information, please call 239-262-6517, visit http://naplesart.org/, like us on Facebook at http://facebook.com/vonliebigartcenter or follow Twitter at http://twitter.com/vonliebigart. Did you hear that? Your inner artist called. She wants you to take this course, so says the postcard advertising a new evening workshop by the Naples Art Association at The von Liebig Art Center. Wine and Dezine is a class for men and women who want to enjoy a nontraditional night out or who’d like try a new hobby without committing to buying a lot of materials. It’s an art workshop that embraces those who might say they can’t hold a paintbrush to canvas – though they would be wrong. The first three-hour workshop session of Wine and Dezine will be held at The von Liebig Art Center on Thursday, Nov. 8, from 6:30 to 9:30 p.m. All art supplies are provided, and as the class name implies, refreshments are served. Yes! You do have an inner artist! Wine and Dezine is part art education, part pure fun and imagination. Students who participate each come away from the session with a painting of their own. Instructor Anne Chaddock says, often her students in this type of class do not think of themselves as people who can paint, but she knows that anyone given a brush and encouragement can unleash their inner artist. “It is exciting for me when my students find art approachable and an outlet for individual creativity and emotion. My painting reflects the energy drawn from working with people and the sharing of enthusiasm for art as a form of communication and self-expression,” Chaddock said. Chaddock is a new addition to the Naples Art Association faculty, and she is already involved in several artist programs offered there. Her work is currently part of the NAA Faculty Biennial 2012, and she showed previously this summer as a member artist in the Show of Shows exhibition. She is looking forward to selling her work during Art in the Park on first Saturdays of the month through April as well as teaching Wine and Dezine and other educational courses. Wine and Dezine is held on Thursday nights: Nov. 8 and Dec 6, 2013 and Jan 17, Jan 31, Feb 21, Mar 7, Apr 4 and May 9, 2013; from 6:30-9:30 p.m. It is suitable for all skill levels. The cost per person, which includes all materials and refreshments, is $75 per workshop. A different work of art is taught step by step on each evening. Subjects include still lifes, tropical outdoor scenes and familiar works by master artists Cezanne, Van Gogh and Matisse. People can register online (http://naplesart.org/workshops) or by calling 239-262-6517 or in person at The von Liebig Art Center at 585 Park St. Naples. Get more info on Facebook at http://facebook.com/vonliebigartcenter or follow Twitter at http://twitter.com/vonliebigart. The Naples Art Association is a 501(c)(3) nonprofit organization, founded in 1954 by local artists. Its mission is to educate and promote visual arts in Southwest Florida. Through its programs, the Naples Art Association is dedicated to serving individual artists of all ages and skill levels, along their creative journeys. Patrons and visitors are inspired to learn, discover and create. 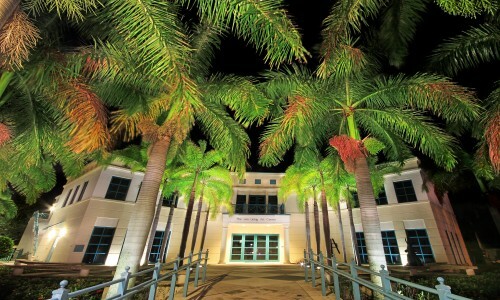 Today, the organization includes more than 1,100 members and operates The von Liebig Art Center, located at 585 Park Street in downtown Naples. The art center is open Monday through Friday, 10 a.m. to 4 p.m., Saturdays in season.